Are you in need of a reliable Western Sydney plumbing provider? JAB Plumbing Solutions is a well-established, family run business that has been providing services to Western Sydney customers for many years. We specialise in drainage and our team of Western Sydney plumbers are fully qualified to confidently assess all your plumbing needs. We have invested in the latest technology on the market which enables us to clear the most stubborn blocked toilets, blocked sewers and blocked stormwater drains fast. Take a look at our recent customer reviews to see why Western Sydney residents rely on JAB Plumbing Solutions for targeted and affordable services. Over the years JAB Plumbing Solutions have developed a loyal customer based in Western Sydney by delivering honest and reliable plumbing. Not only do we always arrive on time, we also take the time to listen to your needs and concerns so that we can provide a solution that's right for you. Resolving your North Shore plumbing problem in an efficient and stress-free manner is our number one priority. Some plumbing problems just can't wait and require the urgent attention of an emergency plumber in Western Sydney. When these situations arise, rely on the experts at JAB Plumbing Solutions. We offer around the clock service and are always on call to help when you need us most. HOW CAN OUR Western Sydney PLUMBER HELP? Blocked drains can occur in the bathroom, kitchen or laundry. Blocked drains only get worse with time so it best to get in touch with a local Western Sydney plumber as soon as you see the signs. If you're looking for expert drain repairs call JAB Plumbing Solutions on 1800 225 552. Jet blasting is a fast and reliable method for clearing most types of blocked drains including those caused by wet-wipes, grease and mineral deposits. It uses only water to flush the pipes clean meaning it's completely safe for your pipes and your family. Call 1800 225 552 to book our Western Sydney plumber today. No one plans for a plumbing emergency which is why our Western Sydney plumber is on call 24/7. If you have burst water pipe, overflowing toilet or are experiencing flooding from your sewer/stormwater drain call our Western Sydney emergency plumbing team on 1800 225 552. 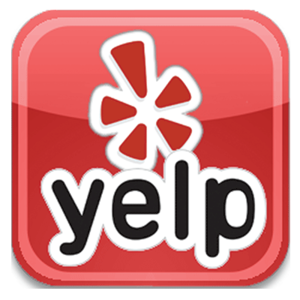 If you were happy with our Western Sydney plumber we would love for you to leave us a review. We constantly strive to exceed customer expectations and all feedback is appreciated. Simply click on your preferred platform below.